According to statistics from the Centers for Disease Control and Prevention (CDC), more than 50 million adults have doctor-diagnosed arthritis. This equates to 1 in 5 persons over the age of 18 years. Arthritis impacts an individual’s life, employment, and social functioning. By the year 2030, 67 million people in the U.S. are expected to be diagnosed with arthritis. Arthritis is the nation’s main cause of disability. Working-age women and men (age 18 to 64 years) with arthritis are less likely to be employed as people of this same age range without arthritis. Additionally, one-third of working-age individuals with arthritis have limitations that affect their ability to function on the job. People with a rheumatic condition lose more workdays each year due to injury or illness than adults with any other medical problem. Osteoarthritis and rheumatoid arthritis causes 172 million lost workdays every year. Morning stiffness – This involves waking up and having difficulty moving around for half an hour or longer. With RA, it could take up to 30 minutes before you loosen up. Stiffness after periods of inactivity is a key warning sign for rheumatoid arthritis. With osteoarthritis, using the joints causes more pain, whereas with RA, the more you move, the better you feel. Pain climbing stairs – This involves locking of the knee joints, sending sharp stabs of pain with bending. Extra weight also can cause knee pain, and excess pounds increase your risk for developing arthritis. The knee is the body’s largest joint, and the second most common site for OA. Other joints that are targets include the hips, back, ankles, and hands. Fatigue and flu-like symptoms – Weight loss, anemia, chronic fatigue, and persistent fever are some of the symptoms you may notice along with pain and stiffness. RA is a condition that causes systemic inflammation, which produces changes even in non-joint tissues. Odd-looking cysts and bumps on fingers – Called Herberden’s nodes, these spurs develop on the last joint of the finger. Bouchard’s nodes occur on the middle joint. 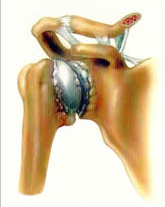 The joint is often stiff to move, but not necessarily painful. The bump feels like a bone than a fluid-filled cyst. Pain that interferes with sleep or activities – Being unable to sleep due to joint pain, or being awakened in the night is a sign of arthritis. Many people with this condition avid activities they enjoy because the pain is so severe. 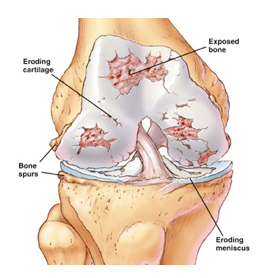 Osteoarthritis is caused by cartilage erosion, which eventually causes bone to rub against bone. Aching hands that are hard to use – Simple activities often become difficult for someone with arthritis, including buttoning a shirt, tying shoelaces, turning a key in the lock, snapping the fingers, and grasping a doorknob. Arthritis affects many joints in the hands and wrists, which can make tasks frustrating. Dr. Yeddu at Desert Interventional Spine Consultant is a top notch pain doctor serving Gilbert, Mesa, Chandler, Queen Creek and Maricopa. He is an expert in the nonoperative treatment of arthritis for the spine, hip, knee, foot, elbow and others. Most insurance is accepted, call us today!